We are excited to announce the featured artists for the 2019 Women Composers Festival of Hartford! 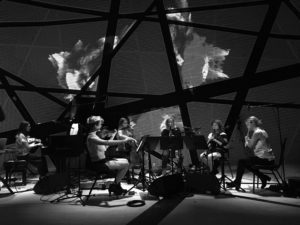 The Nouveau Classical Project (NCP) is a New York-based, all-women contemporary classical music ensemble that is “bringing a refreshing edge to the widely conservative genre” (VICE). It began by collaborating with fashion designers for its concerts and has expanded to creating multidisciplinary performances. Its mission is to engage new audiences and show that classical music is a living, breathing art form. NCP has performed at exciting venues such as Brooklyn Academy of Music (BAM) Fisher, (le) poisson rouge, Galapagos Art Space, Korea Gallery, Symphony Space, The Center for Fiction, White Box, and Issue Project Room as part of MATA’s Interval series. Fashion shows include CFDA winner Pamela Love, Project Runway winner Gretchen Jones, Kempner Collection, Ecco Domani winner Novis, Tanya Taylor, and more. Its projects are supported by the National Endowment for the Arts (NEA), the New York City Department of Cultural Affairs, New York State Council on the Arts (NYSCA), and other generous foundations and individual donors. And the International Score Call for the Nouveau Classical Project and the 2019 Women Composers Festival of Hartford is now open! Composer Jennifer Jolley’s diverse catalog includes choral, orchestral, wind ensemble, chamber, and electronic works. 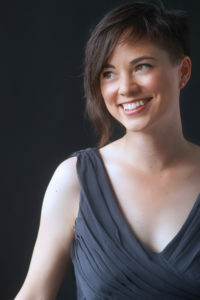 She has been commissioned by ensembles and institutions across the United States, including the Vermont Symphony Orchestra, University of Texas at Austin, Bowling Green State University, Quince Contemporary Vocal Ensemble, The Canales Project, Left Coast Chamber Ensemble, among others. She is Assistant Professor of Composition at Texas Tech University in Lubbock, Texas, and has written articles for the e-zine NewMusicBox. Become a Member of WCFH! 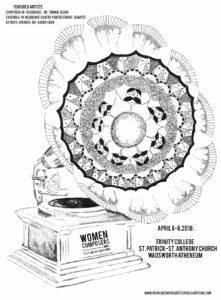 Want to support the Women Composers Festival of Hartford? Sign up to be a supporting member! For more information or to sign up, please visit our Community page. 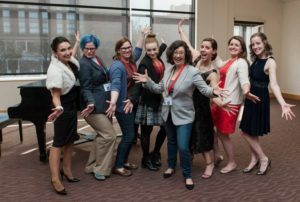 This year’s Women Composers Festival of Hartford was a great success! We hope you enjoyed all of the festival events and discovered some new composers and pieces you love. We wouldn’t be able to do what we do without the passion a dedication of all of our performers, composers, and presenters, and our growing audience. Thank you for your attendance and continued support! Stay tuned for more from the 2018 WCFH! 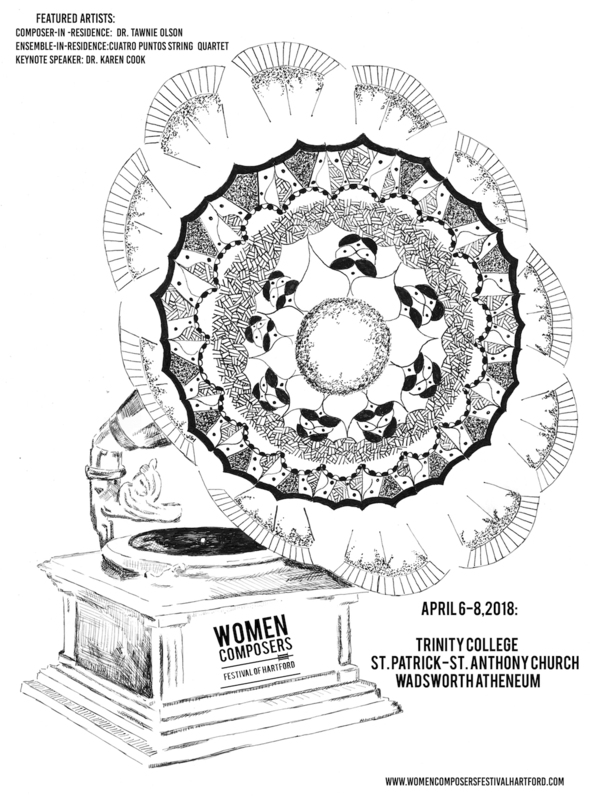 Tickets for the 2018 Women Composers Festival of Hartford and for individual events, April 6 – 8, are now on sale! Festival Passes give you access to all events, as well as admission to The Wadsworth Atheneum. Explore the tab for the 2018 festival for a more detailed schedule, information about each venue, and to learn more about each event and the performers, presenters, and composers who will be with us. We are pleased to announce the venues for the 2018 Women Composers Festival! Festival events will be held at iconic Hartford institutions, Trinity College, The Wadsworth Atheneum, and St. Patrick-St. Anthony Church and Franciscan Center for Urban Ministry. Listed below is the preliminary schedule for the 2018 Festival.